I don’t like freemium games even when they come from publishers or developers who otherwise seem okay (but especially when they come from companies who win the "Golden Poo Award" for shady business practices). Like many gamers, I have serious beef with the concept of a game that boosts your experience or grants in-game bonuses for players willing or able to spend extra cash – sometimes significant amounts of dough – to gallop past otherwise grindy mechanics. Why would I want to play a game that I don’t really have to play? If I’m not playing, what’s the point? Until “Tiny Tower,” I didn’t get it. “Tiny Tower,” an iOS game developed by NimbleBit LLC, was different. I liked other NimbleBit games including “Scoops” and “Sky Burger,” very casual games that were excellent at killing time waiting at the doctor’s office or sitting on the bus. A few years back, they released all their games in the App Store for free, and that’s how I ran across the skyscraper-themed title. “Tiny Tower” in particular allows you to build a tower from the ground up where you add apartments, stores, restaurants, and services that people (Bitizens) waltz in and out of as they please. It’s up to you to maximize the potential of your tower by optimizing the Bitizens’ preferred careers and navigating the two in-game currencies: coins and Tower Bucks. Tower Bucks can be used to stock stores, restaurants, and service industries more quickly, as well as move in Bitizens into apartments on demand. Coins are used to build more stories to your tower. 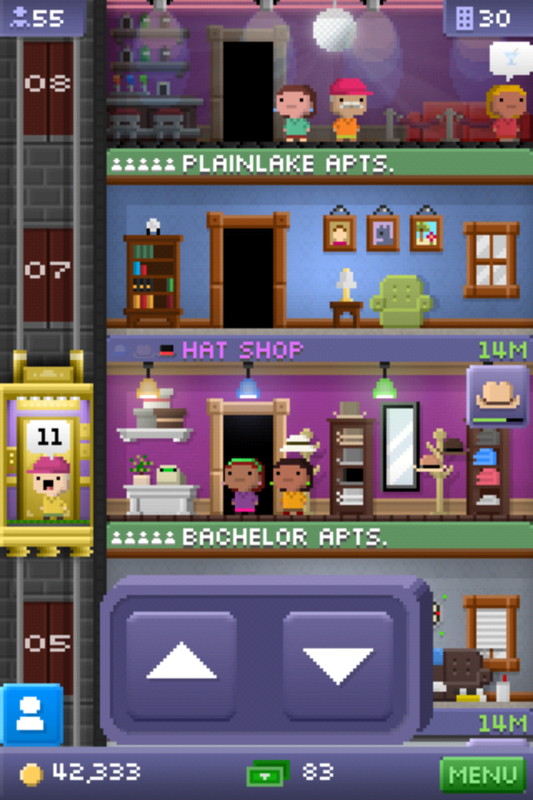 I originally played “Tiny Tower” on an iPod touch 4th generation. I had approximately 150 floors before my cat knocked it off the kitchen counter, cracking the screen. The iPod quite literally had shards of glass splintering outwards from the screen. I ordered a repair kit off Amazon, followed a “how-to” guide on how to fix my beloved device, and replaced the screen. However, while I waited, I continued to update my tower, restock my shops, and even update a spreadsheet that categorized which Bitizens wanted which jobs and which jobs they could tolerate in the downtime before the game randomly generated their preferred shop or service. I actually dragged my finger across broken glass for a week for … this. I actually created a spreadsheet that catalogued every Bitizen and their hopes and dreams. The unfortunate part – or maybe not so unfortunate after all – is that my iPod was not fixed. The “Home” button was broken, and my desire to continue tapping my game into the wee hours of the night dwindled when I realized my tower would not be saved. I had a fourth generation, which was not eligible for iOS 5, and by extension, I would not receive a Game Center backup of my tower. I didn’t even sink any real money into the game, yet here I was. You can buy additional currency – Tower Bucks – in increments of 10 ($0.99), 100 ($4.99), 500 ($19.99), and 1,000 ($29.99). 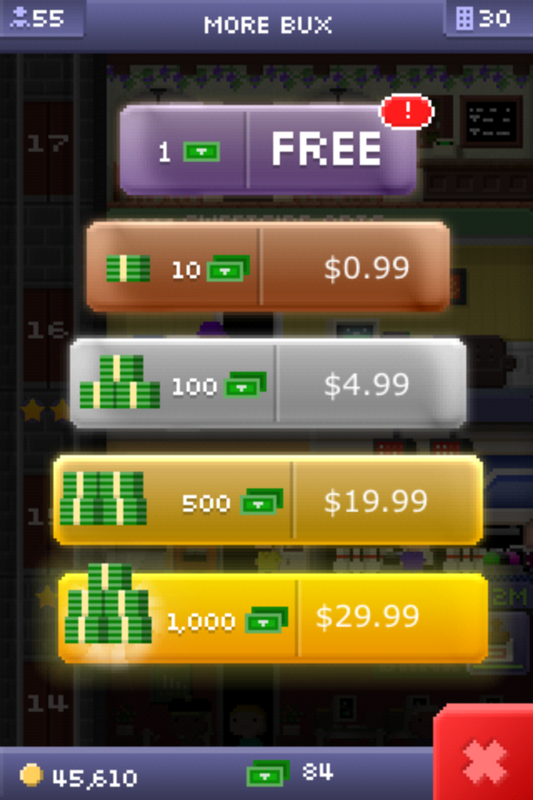 At some point, developer NimbleBit added the ability to gain a single Tower Buck if you agreed to watch an ad with a limit of 10 ads a day. I currently max out my free Tower Bucks every day, but I refused to pay any actual money in lieu of hours and hours of grinding. Nor did I watch the ads. I started them before beginning some chore around the house with my iOS device on mute. The deal is that freemium games do MMOs and other titles one better with regards to instant gratification types of rewards. The beginning of this particular title and others like it start out with simple tutorials that grant you an early reward as you learn the game. In this case, you get to see your first floor – an apartment level where little people happily move into your part of the universe hoping to work in their dream career. Then there’s the learning curve. The learning curve is perfect. By the time I start to understand the concept of dream careers, preferred career types, and which levels were currently in demand by my Bitizens, I wasn’t so far ahead that I had to play catch up. It was relatively simple to move some people around to jobs they’d like better, as well start planning out my next several floors. Additionally, the low-level purchases for Tower Bucks don’t seem that bad. There’s no way I’d spend $30 on Tower Bucks, but if I was feeling particularly desperate to max out an apartment’s occupancy, I might spend $1. If $1 doesn’t seem so bad once, it’d be easy to justify it on more than one occasion, leading people to the kinds of spending “uh ohs” you hear about in other stories with other games, people who didn’t realize what they were actually sinking into the game until it was too late. 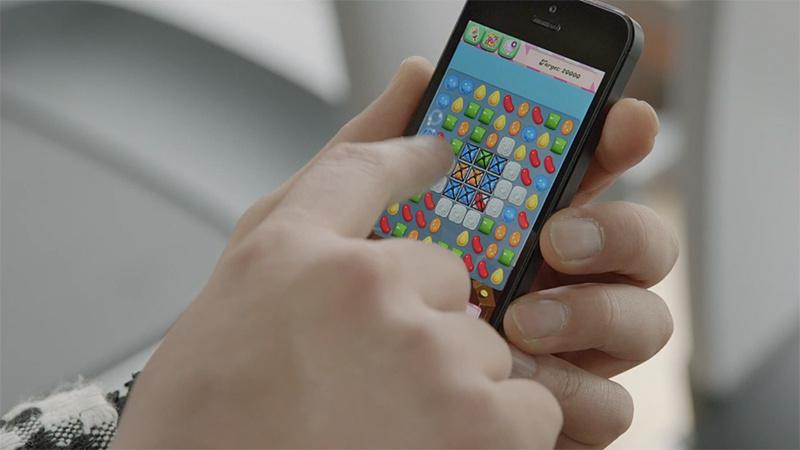 Nor are these kinds of strange addictions limited to touch games meant for phones or tablets. Speaking of Zynga, “Farmville” was infamous for cultivating the same kind of passionate need to progress forward on your Facebook farm. In my own case, I handled the PC version of “Plants vs. Zombies” and “Dance Dance Revolution” the same way. Because the games listed above are casual, it makes me wonder if the target audiences miss the warnings usually intended for more serious gaming audiences. Gamers who play MMOs or know people who do all have the story of “that one person” who got so addicted to it, they let their real life fall apart. Nevermind the cries of well-intentioned loved ones who saw a special on gaming addiction on the “Dr. Phil Show” (I love you, Dad) and wanted to make sure you weren’t like that yourself. These kinds of addictions happen to serious players, not casual players who downloaded a free game to screw around with in their spare time. In reality, I believe the ability to become addicted to casual games says absolutely nothing new about gaming or addiction. In no way are casual games that rely on small rewards as incentives to keep going or a required, increasing activity level to continue alone in what they do. Gambling is a prime example. They’re just not discussed in the greater conversation about MMOs and addiction and how to best counteract their tactics, and because they’re not targeted at players used to and aware of those tactics, they really should be included in said conversation. In my case? Deleting my spreadsheet is helping me keep clean. Maybe I can replace it with a more socially acceptable addiction like drinking heavily in social situations. Some day, maybe. Some day. E3 2018: “The Elder Scrolls VI” Officially Announced! "The past just won't let go." Join our mailing list to get all the latest sent straight to your inbox daily. The material on this site may not be reproduced, distributed, transmitted, cached, or otherwise used, except with prior written permission from the author or our Editor in Chief.